To change your child's registration, you need to start with the registration receipt that was emailed to you when you first registered you child as shown below. This contains a link back to your registraton information. 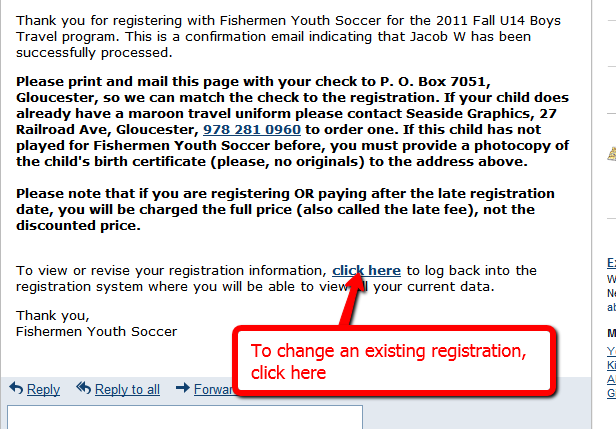 Once you click on the link in the email, this will take you to the Fishermen Youth Soccer website where you must login. 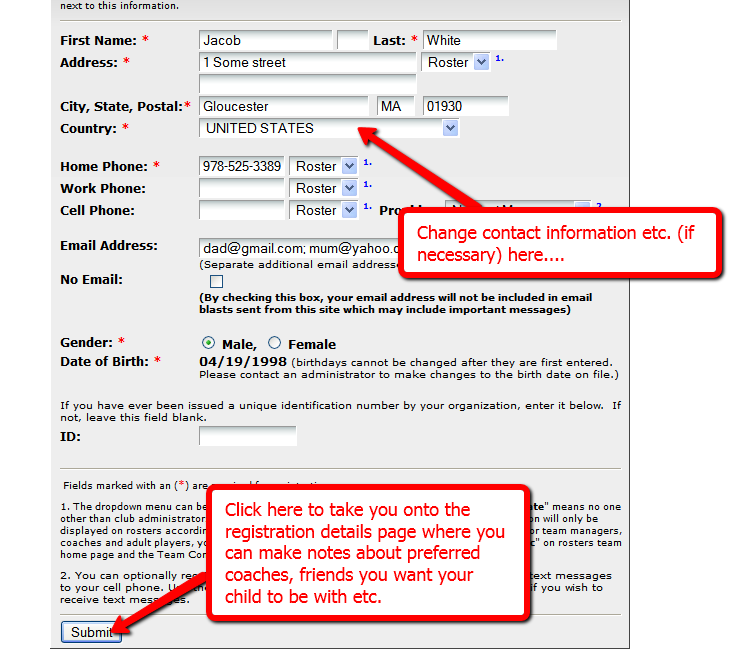 The first page will let you change the mailing address, phone numbers etc. If you don't need to do that, just click on "Submit" at the bottom of the page. On the second registration page there is a big box where you can enter any information that you'd like us to know. This could be friends you child wants to play with, kids you child wants to avoid, coaches they don't like, families that they need to share a ride with etc. 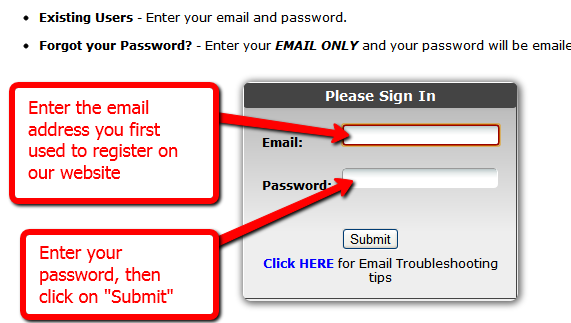 When you have changed the registration, hit "Submit Information" at the bottom of the page to save it.